Sometimes, even in Fortnite: Battle Royale, you need to take a rest. The sort of rest for which one of the game’s myriad beds and couches will not do: a giant rest. Luckily, there are three giant chairs for doing so, and they’re the subject of this week’s “search between” challenge, which asks us to “search between three oversized seats.” All of the action this week will be in the southwestern part of the map, a less-travelled portion that’s likely to see a little more action in the days to come. Read on for the map and location for solving this challenge. To start with, we’ll want to find our seats. 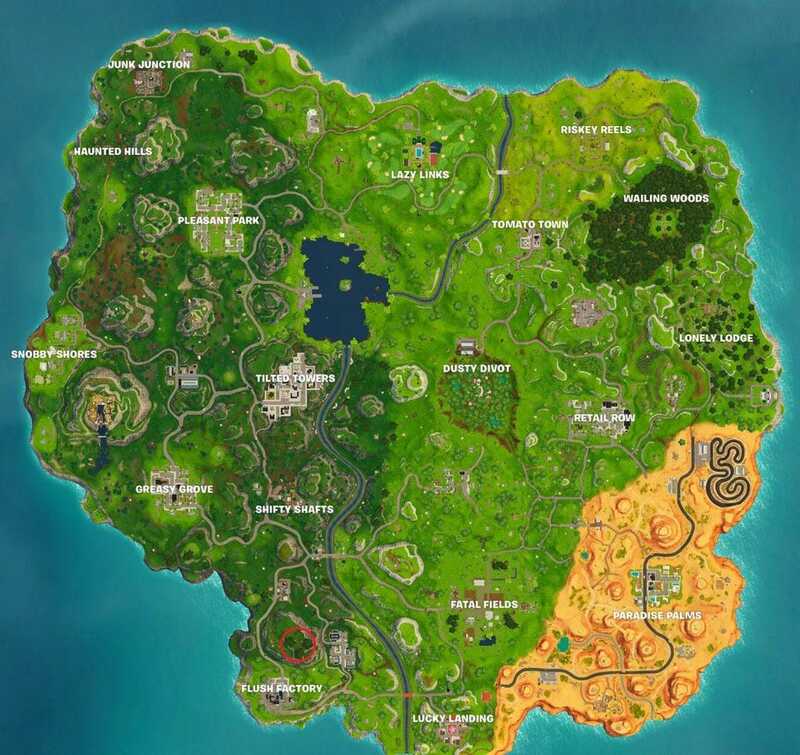 The first should be obvious: there’s a giant chair at an unnamed location south of Shifty Shafts, and it’s pretty hard to miss. The second is a different sort of seat: the giant toilet outside of Flush Factory. 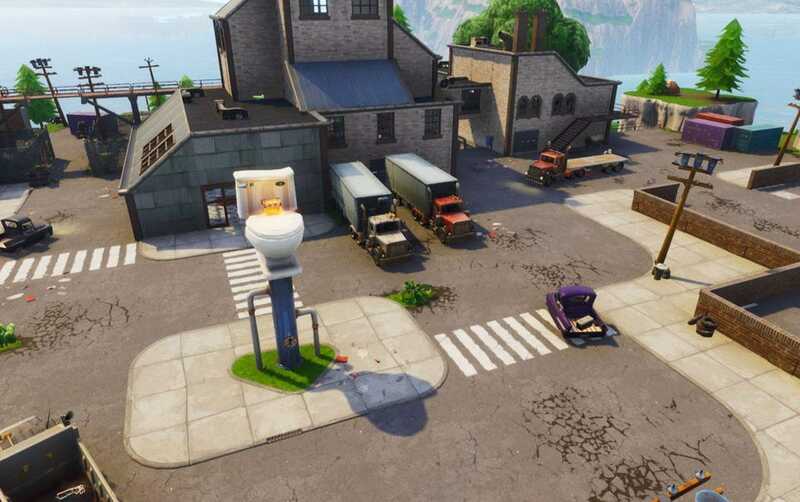 And the third is probably the most obtuse: it’s in the unnamed factory location north of Flush Factory, the one with the dance floor in it. It’s a sort of throne made out of trash and shipping containers. 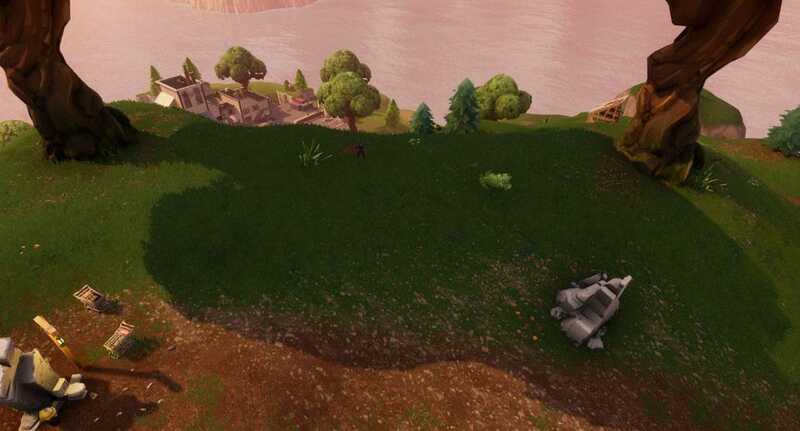 If you manage to get a sniper rifle this isn’t such a bad overlook for shooting down into Flush Factory or any of the other areas featured in this challenge, but as usual, things are bound to be a little busier up here than usual. 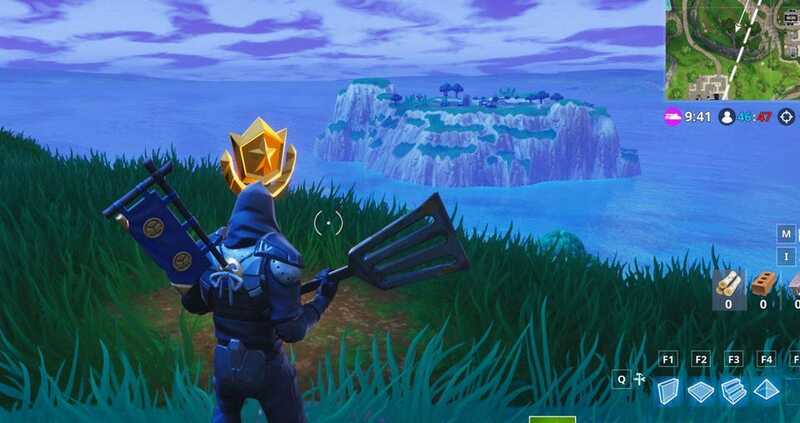 This wouldn’t be such a bad time to complete the “do damage with a pickaxe challenge,” either. Plenty of people will be dropping here unarmed and more than happy to engage in a little melee combat. 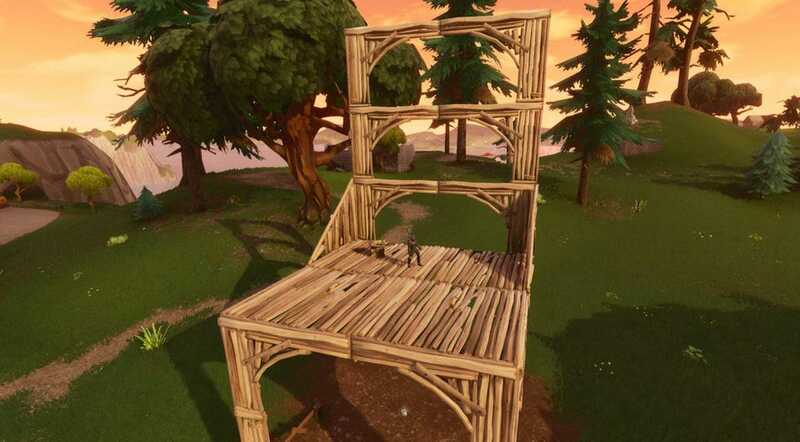 Fun fact: the big chair also showed up in the first treasure map challenge, way back in the day. How time flies.